Opening hours: General city shopping hours are Monday to Friday 9am - 5.30pm with late night shopping on Thursday until 9pm. Most shops are open Saturday from 9am - 4pm and Sunday 10am - 4pm. Hours: Open daily 9am - 5pm. Closed Christmas Day. Open: 7 days a week Mon - Saturday 9am - 5pm, Sunday & Public Holidays 10am - 4pm. Closed Christmas Day, New Years Day and Good Friday. A holiday or a weekend escape in Wollongong offers beautiful natural scenery, exciting sports and adventure activities, plus world-class cultural attractions and events. Enjoy a bird's-eye view of the beautiful coast on an exhilarating aerial adventure. Wollongong is renowned for thrilling air adventures including skydiving, hang-gliding and paragliding. Steep cliffs rising sharply from the coast combined with strong air currents make it a popular destination for hang-gliding and paragliding - Bald Hill Lookout at Stanwell Tops is an acclaimed international site. 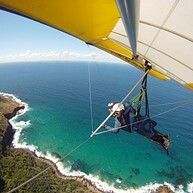 Soar above cliffs and ocean as you tandem glide before landing on Stanwell Park Beach. 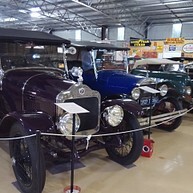 The Australian Motorlife Museum is dedicated to providing visitors with an insight into the history of motoring through its showcase of historic vehicles and memorabilia.The museum is home of the Paul Butler Collection which includes more than a dozen motor vehicles built before 1930. 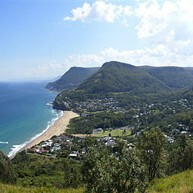 Bald Hill in Stanwell Park is one of Australia's most popular lookouts, offering spectacular and sweeping views of the iconic Sea Cliff Bridge, splendid coastline and vast Pacific Ocean. The area is internationally acclaimed for hang-gliding and paragliding. It was in Stanwell Park that Lawrence Hargrave, an Australian pioneer of flight, experimented with box kites and made a successful flight on 12 November, 1894. 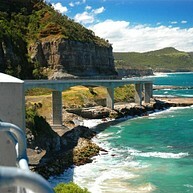 Explore Wollongong and beyond on a leisurely drive on one of Australia's spectacular touring routes. The Grand Pacific Drive begins just south of Sydney at the Royal National Park, among the oldest national parks in the world, and travels through temperate rainforest to Stanwell Tops, then down to the famous Sea Cliff Bridge and along the coastline to Wollongong, Shellharbour, Kiama and Berry. Enjoy one of Australia's best treetop experiences and soar on the highest zip-line in the country. High above the rainforest, the treetop walk features two gently swaying cantilevered arms and a central tower raised nearly 50 metres from the forest floor. Positioned 710 metres above sea level, the magnificent views take in the rainforest floor to the canopy and out to the Pacific Ocean. Located just 30 minutes south of Wollongong, this popular water theme park is set among 40 hectares of gardens and parklands. It's the perfect setting to relax or join the kids on a huge range of water slides and attractions. Home of the Funnel Web, the longest, most exhilarating water thrill ride built in the world, or splash about in Banjo's Billabong, the largest aqua play structure in the Southern Hemisphere. You can also ride rafts along Rapid River and slide down Surf Hill. Visit or stay at Nan Tien Temple, the largest Buddhist temple in the Southern Hemisphere. Admire the temple’s beautiful mix of eastern and western influences and explore the tranquil gardens and lotus ponds. Nan Tien also offers many spiritual experiences including self-development talks and Buddhist meditation retreats. 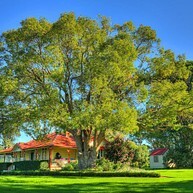 Pilgrim Lodge is a 100-room facility, which is open all year round and located in the grounds of the Temple. 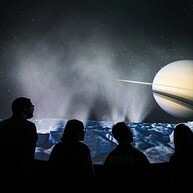 Wollongong's most visited indoor attraction, the Science Centre and Planetarium is a major hands-on science venue. Suitable for all ages, attractions include two floors of exciting interactive exhibits, a science theatre, and the amazing and immersive planetarium. The WIN Sports and Entertainment Centres are multipurpose venues, hosting various concerts, conventions, exhibitions, and indoor and outdoor sporting events. Watch A-League football matches and national basketball games, or see international musicians and comedians. 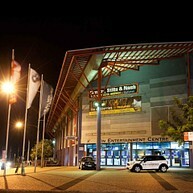 A leading regional art gallery with a schedule of high quality exhibitions and public programs. 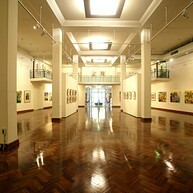 The gallery houses an important collection of Australian, Aboriginal and Asian art. The permanent collection not only documents regional histories and art practices, but also reflects developments and issues in art of local, national and international relevance. Wollongong Botanic Garden is a place of natural beauty where people can relax and learn more about plants and horticulture. The garden offers an exciting array of activities and experiences for visitors of all ages. These range from guided walks and community workshops that focus on environmental sustainable practices through to band recitals, theatrical entertainment, and sunset cinema screenings.